If you haven't been to Glacier National Park in Montana, you honestly need to add it to your list right now. 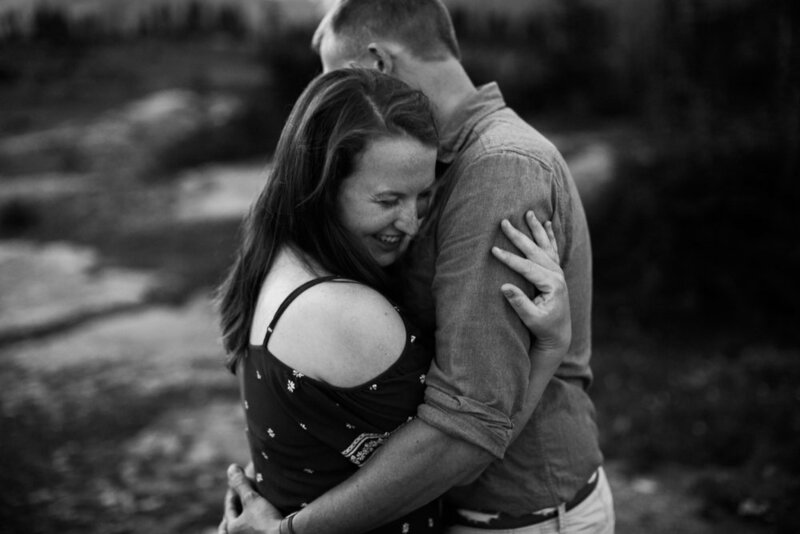 After visiting on a big road trip last year, we fell in love with it so I was so stoked when Margit, a fellow wedding photographer, reached out to us about doing an adventure session for her and her husband Josh's one year wedding anniversary! This park is so stunning, from the gorgeous blue lakes to the jagged mountain peaks. We wanted to capture a variety of what the national park has to offer, so we started their session at Lake McDonald and made our way up the mountain as the sun went down. We stopped at a waterfall, ran through the tall bear grass in a valley surrounded by peaks, and ended the session on the top of Logan Pass, shooting well past sunset as the warm light of blue hour reflected on snow and trees.